See more objects with the color dimgrey darkgrey dimgrey darkolivegreen grey or see all the colors for this object. 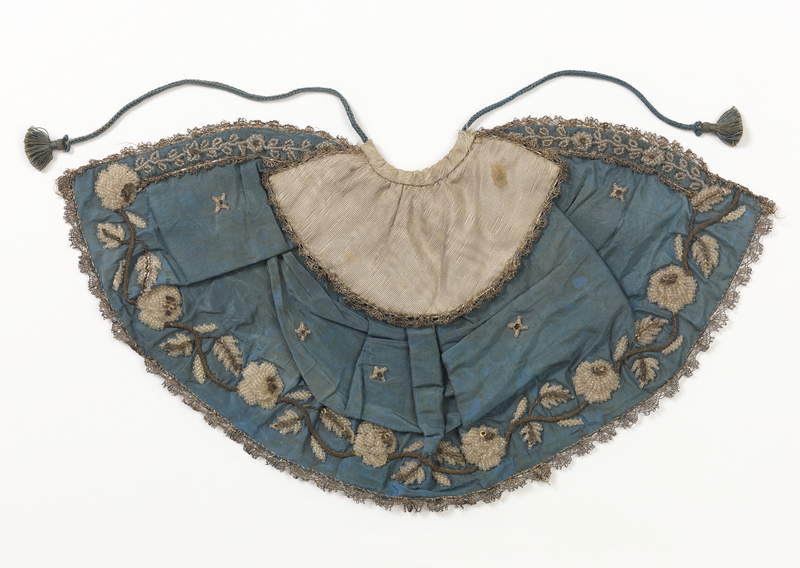 This is a Cape for an ecclesiastical figurine. It is dated mid-19th century. Its medium is silk, metallic yarns, glass beads and its technique is ribbed plain weave, moire finish, embroidered; bobbin lace; lined with voile. It is a part of the Textiles department.